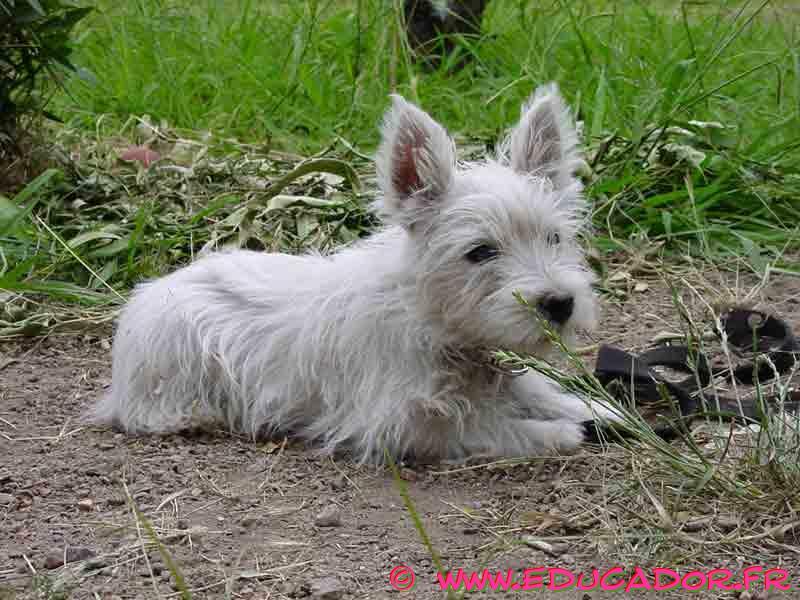 Although small in size, the West Highland White Terrier is big in confidence and sturdiness. Strong and muscular, it is well balanced with the length of its body slightly shorter than its height. Its dark almond-shaped eyes are set wide apart under heavy brows and give the breed a curious expression. Small, erect and pointed ears are set on the outer edge of the skull and are never cropped. The skull is broad and slightly domed between the ears, giving an appearance of roundness throughout the entire head. The muzzle is blunt and slightly shorter than the skull with a strong jaw that holds large teeth with a scissor or level bite. The nose is large, round and black. The tail is short, straight and held erect; it is never docked. The coat is straight and hard, about two inches long but shorter on the neck and shoulders, with a fluffy under coat. The coat is always white in color. 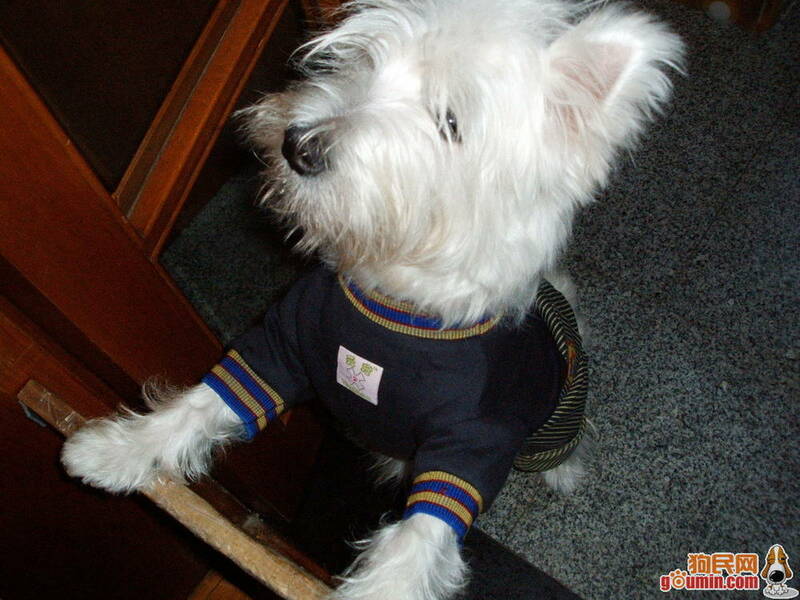 Common Misspellings West Highland White Terier, West High Land White Terrier or West Hiland White Terrier. This dog is happy, busy and always following the action. 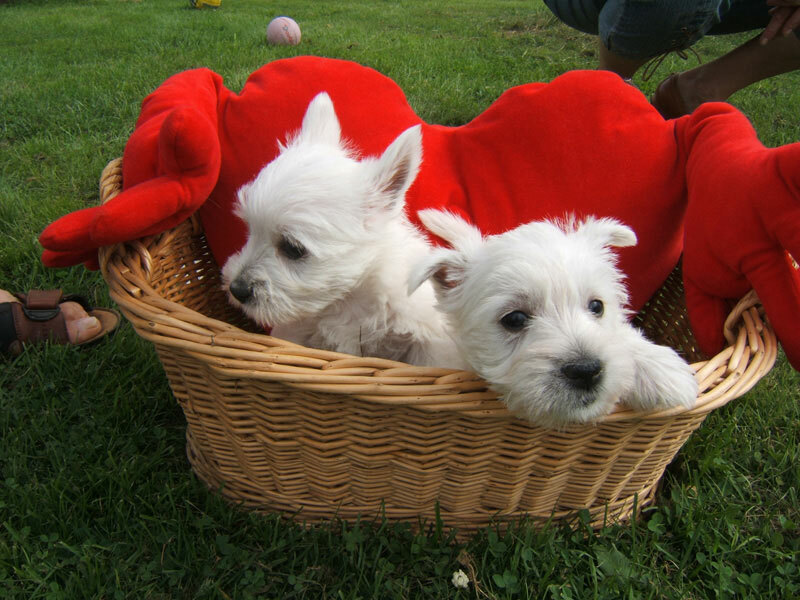 The Westie loves to play and be with its family, and it is sure to provide a ton of laughs for its family. 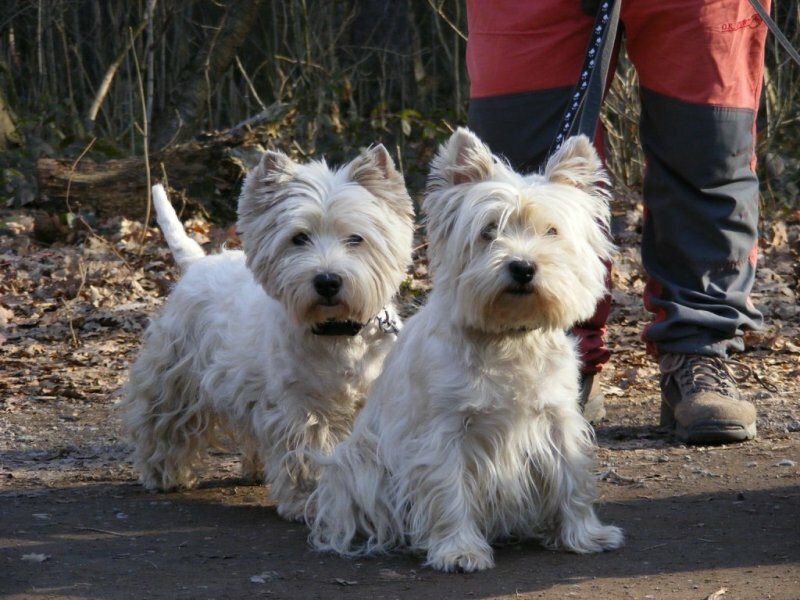 The West Highland White is among the most sociable and affectionate of terriers, though it retains its natural aggression toward small animals. Your friends and neighbors are sure to get a kick out of this funny little guy, but the family cat may not be so happy. Ideally, this dog should be raised with cats and other small animals from puppyhood so as not to develop aggressive tendencies; if this is not possible, youll just have to do your best to show him that chasing the cat is not an acceptable pastime. 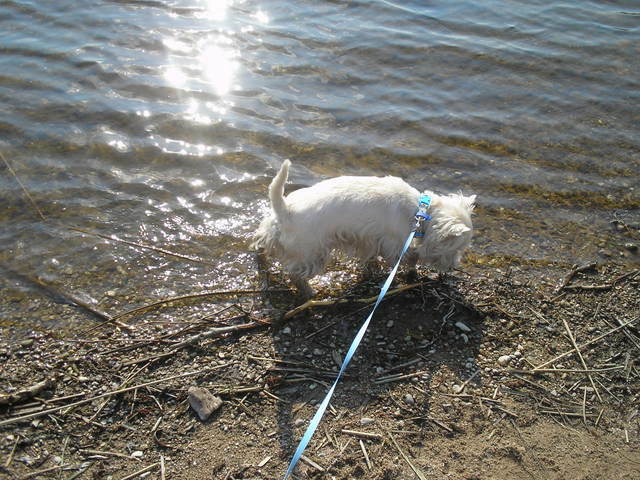 The Westie can be a bit stubborn at times, but generally speaking this dog is a people pleaser and quite tractable. The dogs coat sheds minimally, and a good brushing a few times a week will get rid of the dead hair. Occasional trimming around the ears and tail is suggested. The coat should have a full trim every four months and a stripping every six months. 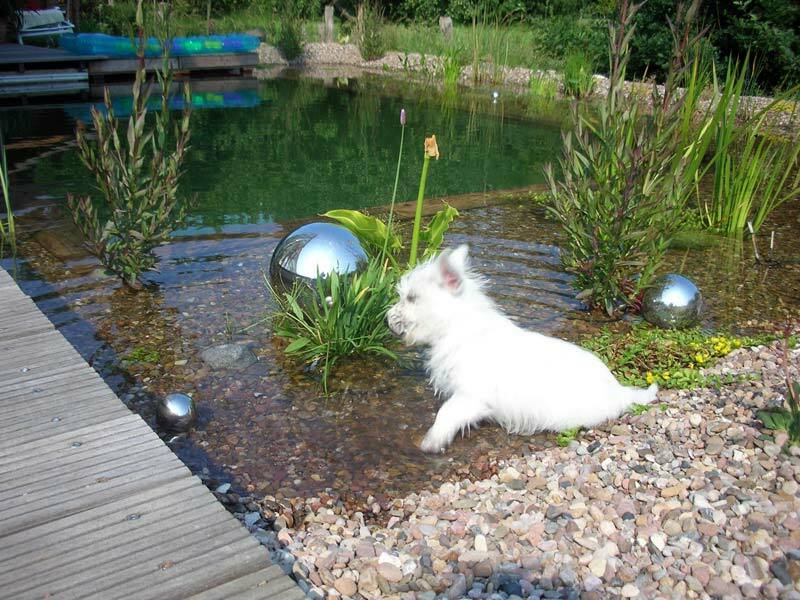 Known health issues for the West Highland White Terrier include skin disease, Legg-Perthes and globoid cell leukodystrophy. Keratoconjunctivitis sicca, copper toxicosis, patellar luxation and cataracts are also occasionally seen in the breed. For many centuries, these dogs were put to work ridding stables, kitchens and farmland of mice, rats and other vermin. They were also used to hunt other burrowing animals such as fox, badger and otter. 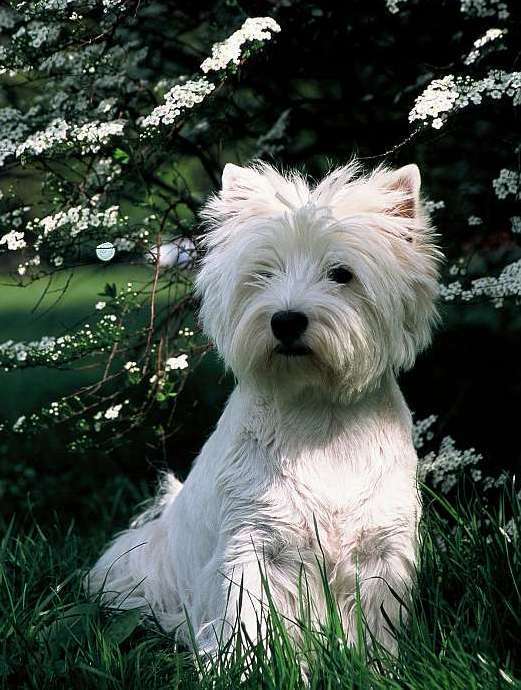 Up until the 19th century, the West Highland White Terrier was lumped together with its Scottish cousins, which were collectively referred to as Scottish Terriers. Around this time, however, dog fanciers decided that it did not make sense to have one breed with such great diversity, and efforts were made to separate and distinguish the various terriers.A West Highland White Terrier was shown for the first time in 1907 by a man named Colonel Malcolm. Malcolm called the dog a Poltalloch Terrier, after his home. During this period, the breed went through several name changes, including the Poltalloch, White Scottish and Little Skye Terrier. The breed was finally recognized under the name Roseneath Terrier by the American Kennel Club in 1908, only to have its name changed the following year to the West Highland White Terrier. 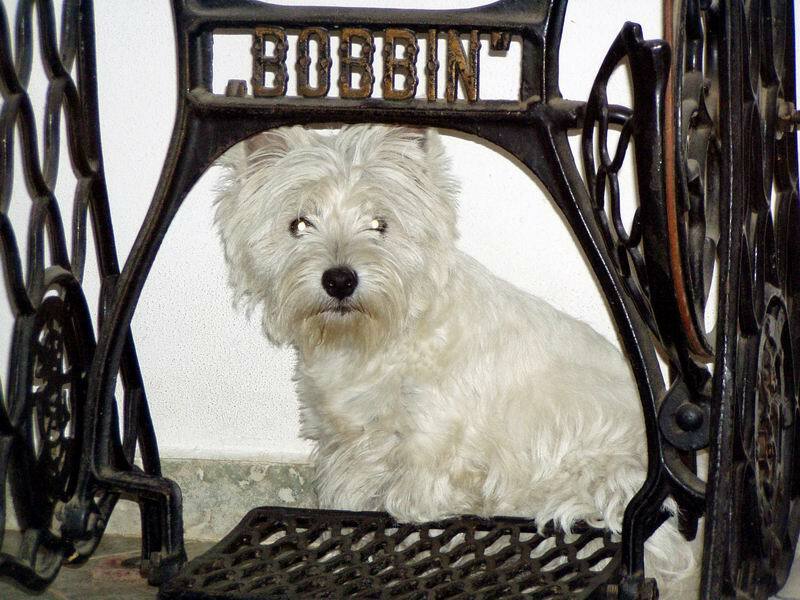 The last name finally stuck, and the breed has since become a renowned champion in the ring and a common fixture in homes both in its native Scotland and elsewhere.